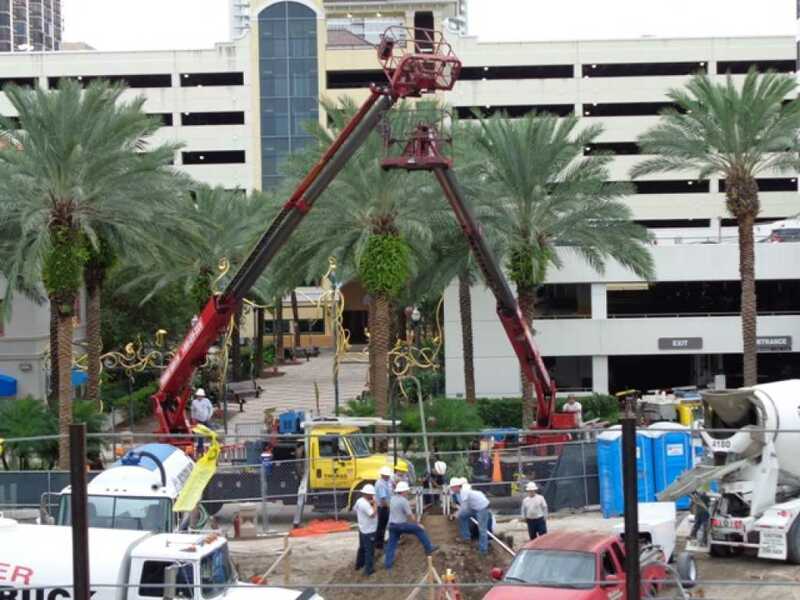 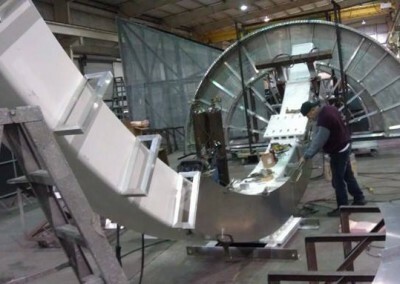 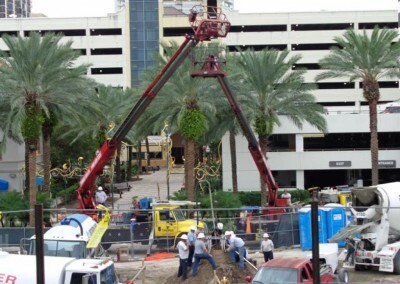 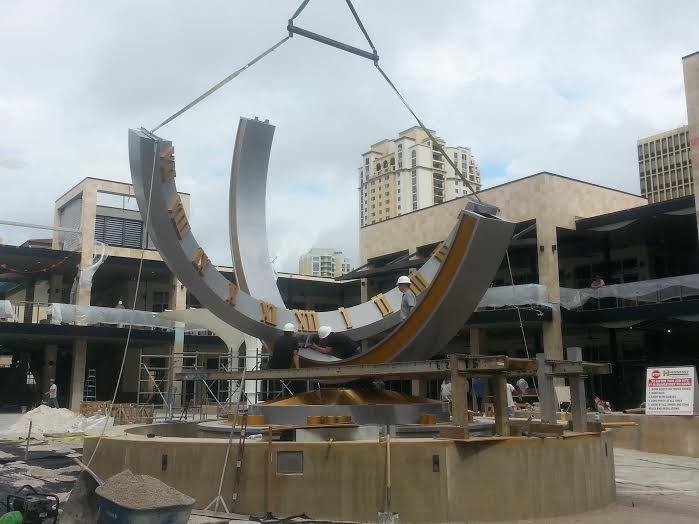 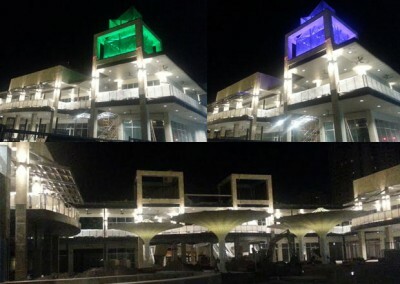 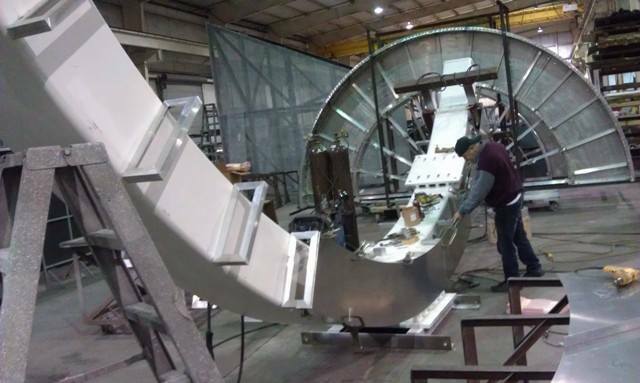 Landmark Signs | Thomas Sign & Awning Co., Inc.
Thomas Sign and Awning Company, Clearwater, Florida is proud to share their latest manufacturing marvel with the city of St. Petersburg, the Sundial. 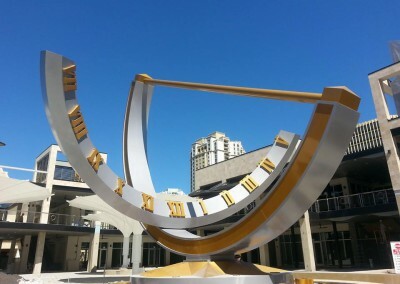 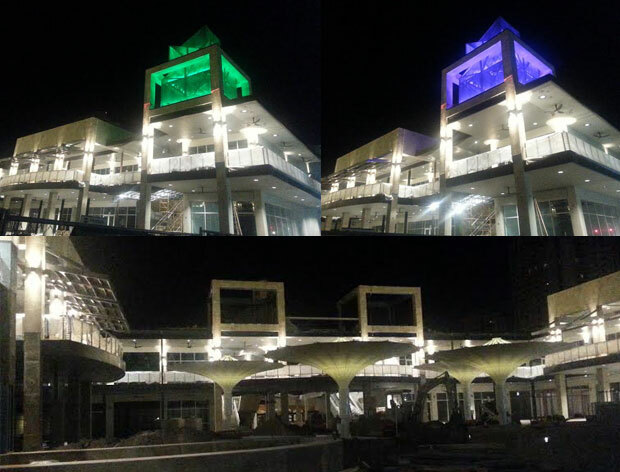 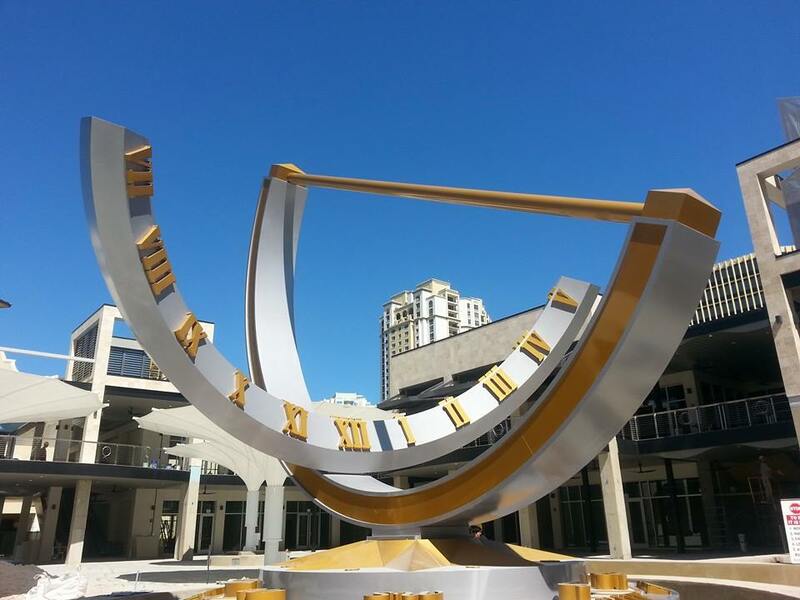 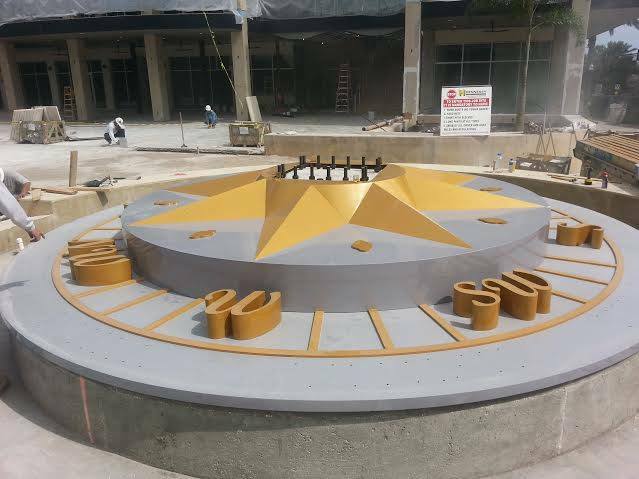 Situated in beautiful downtown St. Petersburg, Florida, in the new retail, dining and entertainment center, the three-story tall, fully-operational bowstring Sundial is the center of attraction for St. Petersburg’s newest outdoor experience, SUNDIAL. 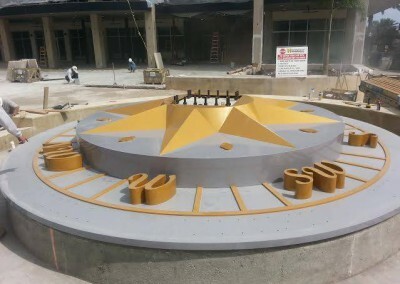 The enormous sundial, was designed by internationally-renowned production designer Rene Lagler, and manufactured and installed by Thomas Sign and Awning Company, Inc.
And a landmark sundial is not the only structure manufactured by Thomas Sign for the new entertainment complex; two 24-foot sculptural perforated metal towers grace the courtyard entry points with LED accent lighting to illuminate the entire area for the perfect ambiance. 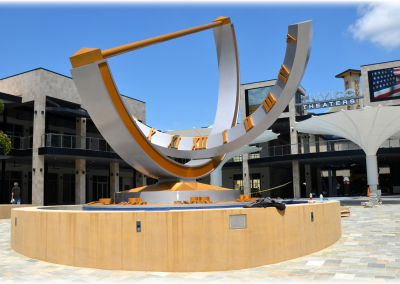 Double-sided flag-mast pole signs are located in the paseo areas of the center, providing beautiful entrances to the downtown access points and to the featured Sundial located in the middle of the complex. 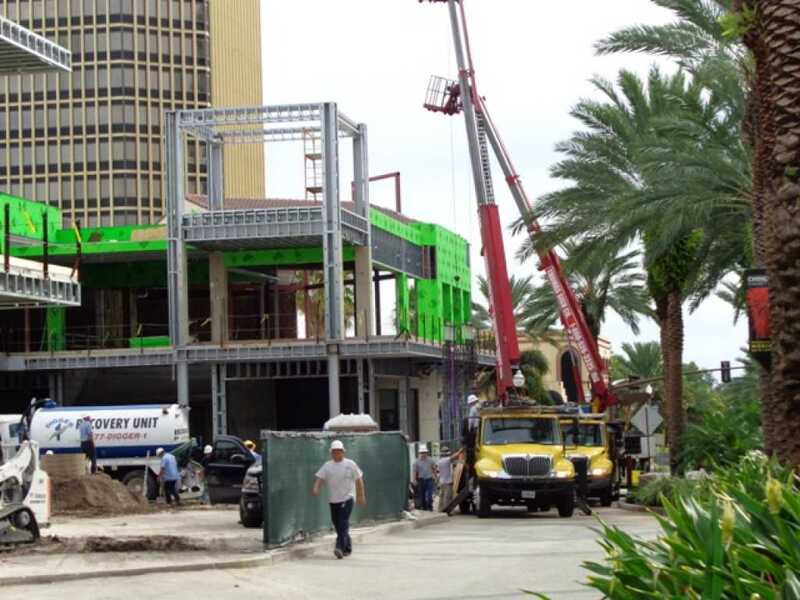 Architectural awnings were also added to the center’s shops and dining establishments fabricated by Thomas Sign to achieve a casual Floridian styling. 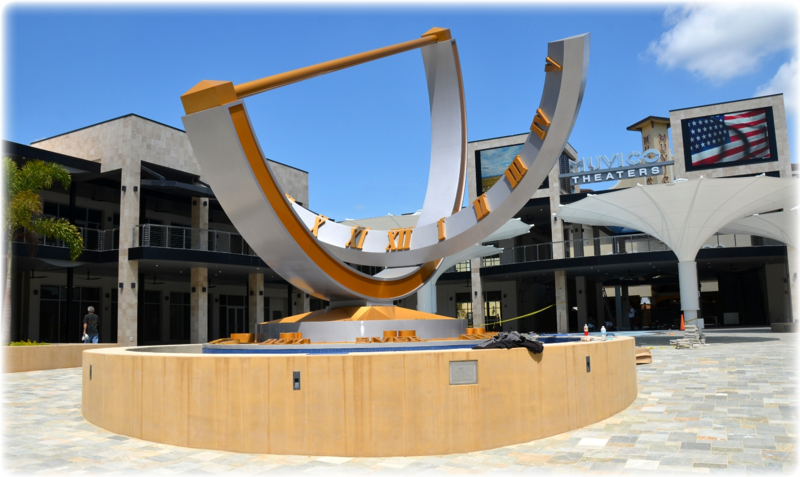 Whether dining, shopping or just relaxing to music in the courtyard the center’s architectural elements and lighting set the mood.